It’s hard to believe that this wasn’t posted earlier on this site, but I realized it wasn’t after sending to a friend earlier today who just got his Droid Incredible. Sorry! I promise I haven’t been holding out on our DI readers. As many of you probably know after trial and error, the original Swype beta‘s resolution did not function correctly on the Incredible, so we’ve been waiting impatiently for someone to port it. That time actually came a month ago, but someone on this site seemed to, well, space it out. 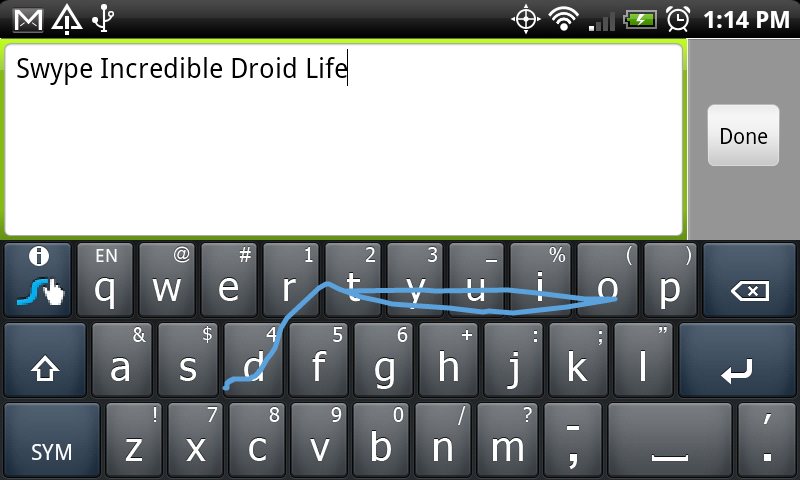 Today’s release of the new Swype beta for the Droid was also a nice reminder. Download: File no longer works. 1. Download the SwypeIncredible.apk onto your SD card. 2. Tap on the file once it has finished. 4. When it finishes, exit out and open up Settings>Language and Keyboard. 5. Check the box for Swype and exit out. Cheers Jeremy for the reminder!